The circus. A happy place, full of fun, thrills and good clean family entertainment. Unless you're an animal that's part of the show. Then you're more likely to be spending your life in cages that are too small for your needs, subject to cruelty and mistreatment by your owners and handlers. There's a wide consensus that circuses featuring wild animals are un-necessarily cruel. But it may surprise you to know that they haven't actually been made illegal in the UK. A ban was promised by the government in 2012. In 2013 it published draft legislation to that effect, but it has still to be passed. This is a shame, as across the globe bans are taking shape and being enforced. In Peru and Columbia, lions, tigers and bears are being rescued from their cages and rehabilitated. Although it would be great to release them back into the wild, most circus animals have been declawed and suffer from broken teeth. So they're given a forever home in a sanctuary preferably in their native habitat, or as close as rescue workers can get to that. 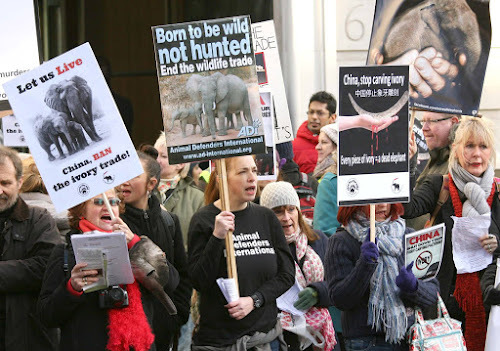 A lot of that essential work is being done by groups like Animal Defenders International. Founded in 1990, the charity uses video surveillance and powerful campaigns to get the message across about animal cruelty in all its forms: in entertainment, the illegal harvesting of ivory and the fur trade. It was thanks to ADI that the news first broke on Anne the Elephant and her cruel treatment at the hands of her "owners", Bobby and Moira Roberts. ADI were directly responsible for the ban on wild animals in Bolivian circuses, and continues to work on their rescue and rehabilitation. In fact, ADI are on hand at most protests, demos and rallies where animal welfare is the primary concern. Which is where Pier32 comes in. 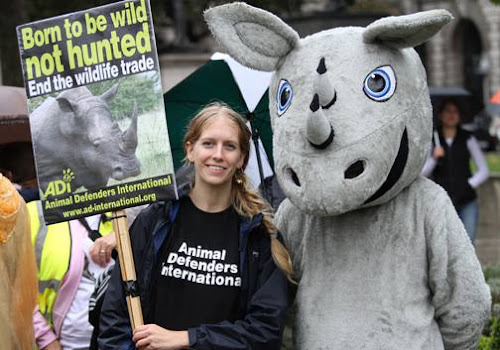 If you've seen an Animal Defenders tee or scrub on the news, it's come from us. Junior, getting help from a dentist after being rescued from a circus in Peru. We're proud to be associated with a world-wide charity that's doing so much to help animals in need across the globe. Their ongoing project working with rescue circus animals in Peru is fascinating, and shows a real sea-change in the way we view the use of wild creatures in entertainment.